German Chancellor Angela Merkel has said she will fight for an "orderly Brexit" until "the very last hour". 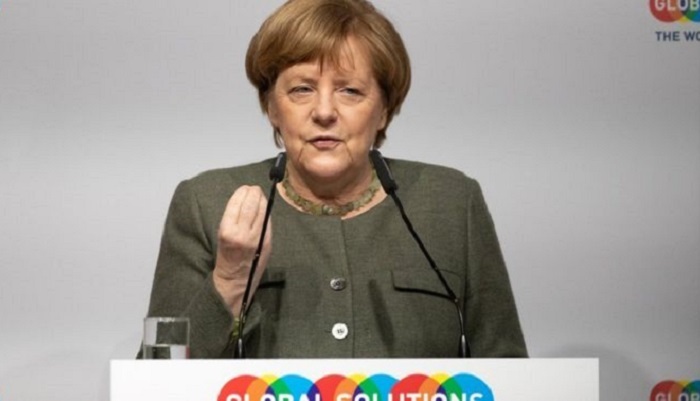 Merkel said that current events were in a "state of flux", adding that European Union leaders will try to react to whatever the UK proposes. The UK is due to leave the EU in 10 days with or without a deal. PM Theresa May is writing to European Council President Donald Tusk to ask for an extension to the process and will meet EU leaders later this week. At home, a new vote on UK Brexit deal has been blocked by the Speaker of the House of Commons, John Bercow. The deal has already been defeated twice by MPs, and Mr Bercow has ruled that May cannot bring it back for a third vote without "substantial" changes. "I will fight for an orderly Brexit on 29 March until the very last hour. "We don't have that much time left... I must say that I'm not in a position to speculate on what I will do on Thursday because it depends on what Theresa May will tell us." "An extension is not for certain", the aide said. "First point: is there a plan, a strategy, to justify an extension?" Also on Tuesday, EU chief negotiator Michel Barnier told reporters that if May requests an extension, it will be for EU leaders to "assess the reason and the usefulness" for such a request. "EU leaders will need a concrete plan for the UK in order to be able to make an informed decision and key questions will be: does an extension increase the chances for the ratification of the Withdrawal Agreement?" he said. The measures are aimed at limiting "the most severe damage caused by a disorderly Brexit", and set out proposals for transport, fisheries, education and social security. The EU27 are feeling their way towards ground rules for an extension to the Brexit process. It cannot be an opportunity for the UK to renegotiate the divorce treaty. Britain will have to take part in the European Parliament elections if an extension extends beyond the summer. Will the UK have to sign up to a good behaviour clause where it promises not to use its veto over the EU's long-term budget as leverage to get a better deal? And it all has to be for a good reason, like pursuing a different future relationship or for an election or a referendum. The EU may also ask the prime minister for more proof that Westminster will accept a delay. This has prompted speculation about the concept of an extension being approved at this week's summit of EU leaders, followed by a parliamentary vote, followed by - wait for it - another summit on the eve of 29 March, which would be billed as the last chance to avoid No Deal.